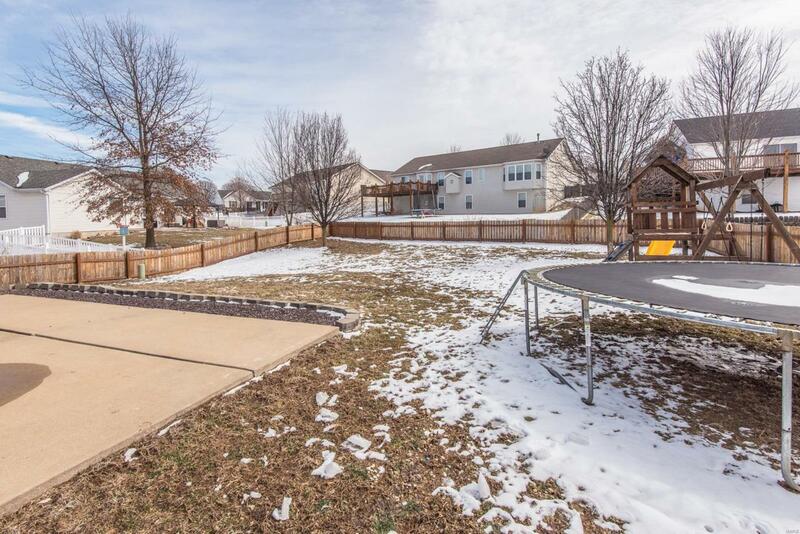 Spacious 5 bedrooms 2.5 bathroom 2 story home with a great convenient location in Wentzville. 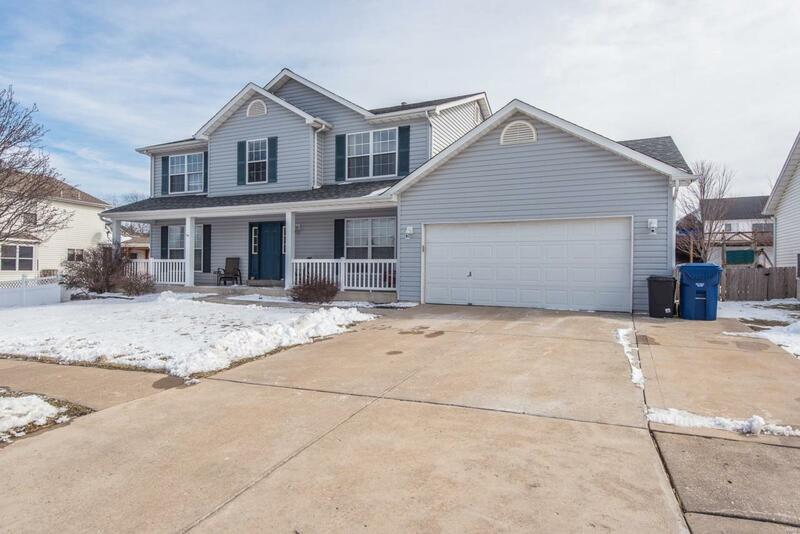 Vinyl siding, architectural shingle roof, enclosed soffits and fascia, large covered front porch, 3 car expanded driveway, fenced level backyard, and large patio. Nice wood floors on the main floor, popular T staircase, formal dining room, 5th bedroom on main floor converted from the formal living room, could remain as bedroom or use as main floor office, custom barn doors. Open kitchen with center island, breakfast, room, and family room with gas fireplace and bow window. Half bathroom and main floor laundry. 2 car oversized garage bonus extra bump out. Upstairs loft/recreation room. Double doors to master bedroom suite, master bathroom double basin sink, separate tub and shower, and walk in closet. 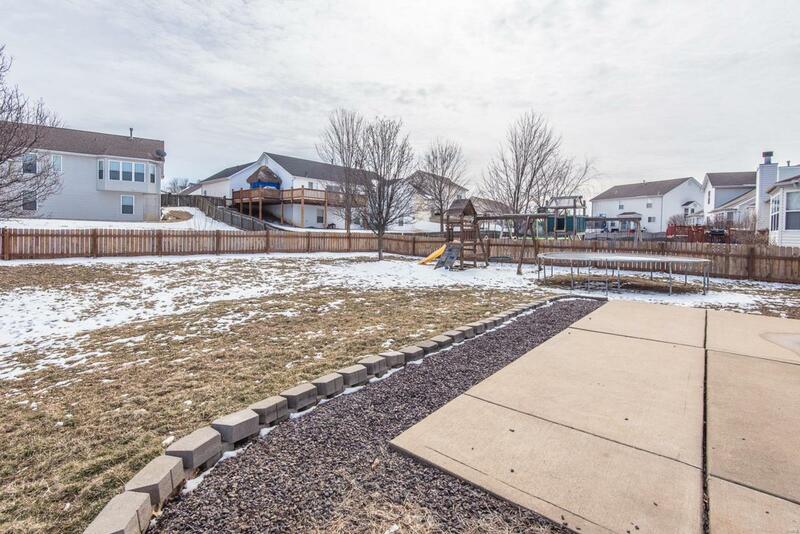 Nicely sized 2nd, 3rd, and 4th bedrooms. Full bathroom in the hall. Full basement does have some partial finish, rough in bathroom. 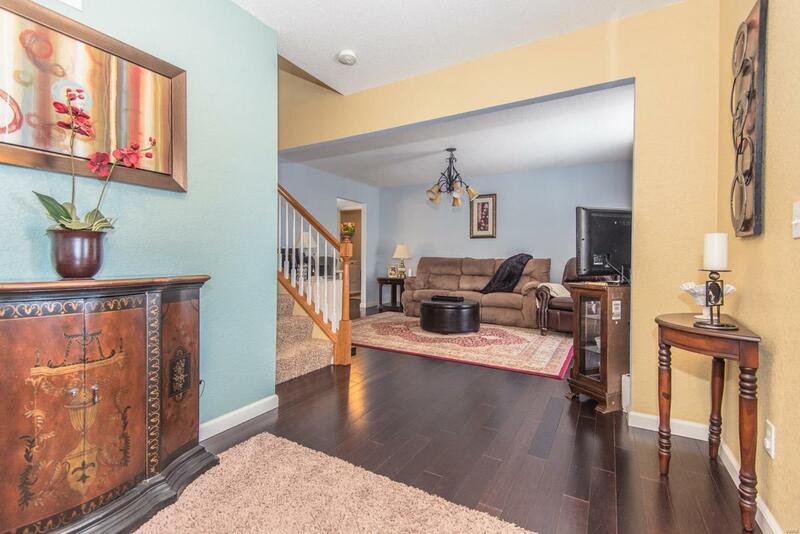 Great location in Stone Ridge Canyon.